Ok folks. Look at the above picture and tell me what's wrong with it? Yeah... that's right. Windows96 does not exist. I just use photoshop, copy out the "9" flip it over and paste it over next to it. Why suddenly talk about this out of the blue? I was reading Winsor's blog entry about his grief with Vista that triggered off this post. Well, all these started with the recent release of Windows Vista and how folks were griping about how badly it sucked. Even Microsoft themselves admitted the shortcomings by offering a downgrade option back to Windows XP. Great. A big roundabout back to starting point. Why bother to move in the first place then? This is a throwback to slightly more than a decade ago when Windows95 was first launched. It was super unstable in the beginning and had all sorts of drivers compatibility issues. It took 3 years to get everything ironed out when Windows 98 was released. Even then, Windows98 took another couple of years to tie up all the loose ends with the release of Windows98SE (SE = Second Edition). In between, was the Blue Screen Of Death (BSOD) that everybody had to endure. I remember stepping into the office each morning in my first job where the first thing that we did each morning was to turn on the PC to let the boot-up process run where the above intro screen would show up for a minute or two before the actual interface come on. Things were pretty bad then where we get BSOD on a daily basis or even 2 to 3 times within the same day if we were lucky. Whenever, we hear a groan, gripe or a profanity (Hokkien if it were a lady colleague), we knew someone has gotten BSOD-ed. That fateful day when I decided to pull the prank, I nonchalantly mentioned that I no longer get BSOD anymore. When asked, I would say that I upgraded to Windows96 already. Of course nobody believed me until I turned on my PC and show them the boot-up screen. They were dumbfounded (back then the peeps weren't very tech savvy) and my IT manager (this one also IT idiot despite his position) was furious! No only did I install unauthorised software, it was a system software to boot (no pun intended)! After that, everybody was bugging me for the installation CD-Rom for the alleged Windows96. Fast forward to 1999 when I was transferred to a new division with a brand new set of colleagues. As I have said earlier, Windows98 wasn't stable until the second edition came along. 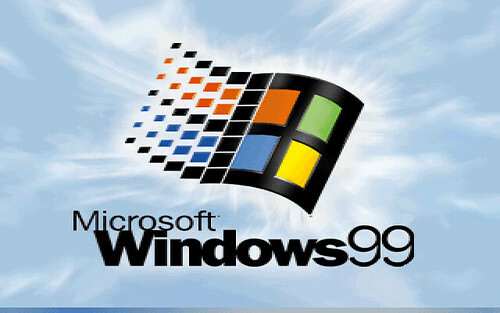 Again, I modified the start-up screen and came up with Windows99! Heh heh... got these guys a second time (Yeah. Still not very savvy yet but the IT manager was smarter liao). So anyway, coming back, I noticed a trend that Windows95 took about 3 years to get things right. So did Windows98 and WindowsXP that needed to get up to SE and SP2 respectively before anyone stopped bashing their heads into the keyboard. Windows Vista? Well, I think it will be the same and so I am hanging on to WindowsXP for at least another 2 years or so. eh.. i got no choice as it was the school requirement that everyone get the latest laptop with the latest software which is vista.. we are the first batch to get it.. and really, nothing to shout about.. those older batches were complaining but the complains are unfounded of. now i got an end to end of OS.. my desktop is ancient win95 while my laptop is vista.. hur hur hur..
Gary: Well, there's MS-DOS before Windows95. I supposed if Vista came with a brand new machine, it is less harrowing that someone trying to upgrade to Vista from existing hardware. Use a mac lor...heh. Don't worry, I'm not one of those Mac evangelist(how to spell?). Mac also got BBOD. Beach Ball of Death when they hang. Eddy: I have considered switching to Mac once but all for about 30 minutes (that was during the time of the Machintosh I) before I gave up. I realised that I was too deeply entrenched in PC that it is impossible for me to unlearn Windows and relearn Mac. Well, don't have to choose either. Can use both OS at the same time. I'm in a cross platform situation right now. Mac at home, PC at work. So far, no major problems. Anyway, I saw my colleagues's Vista Laptop. Looks good, but slooow. So, you correct to wait. Heh. I know some companies still using Win 2000 with service pack 4. Eddy: Well yeah but it's too much of a hassle and besides, I don't see any thing that I need to use a Mac when a PC does as well, though a little more grief. Sly: My office is still using W2K SP4 for it's stability. We are not ready to move up to WinXP yet. Vista to XP is an upgrade not downgrade. Man, this Vista is really bad. Have to go XP then can get things moving. My friends should be in the same situation as Gary, they all wanted to buy laptops with Vista installed. But I got a Mac and a free upgrade to Leopard instead. *cheeky grins* Nothing unsatisfactory has happened yet. Yups, i think should just hang onto XP for a year or two more. it's functioning well as a desktop at home for me at the moment, albeit spywre problems. woah. yeah man. They took forever to get it right. My office runs on a 95 which is quite okay, except for the fact that it hangs itself with too much pressure - bad HDD sector. haha! vista is getting manageable, but it's irritating when they keep asking me for permission for this and that which is quite crappy. It's like an additional confirmation which I have no need for when I know what I'm doing. Merryfeet: Have you upgraded to Leopard yet? I heard it is pretty good. I supposed Microsoft was trying to launch Vista ahead of Leopard given that we are approach the Christmas sales peak. I think the plan backfired. No? Winsor: I supposed there is no such thing as a perfect OS except perhaps the OS/2 Warp? Even my hp's Symbian OS hangs from time to time albeit much much less frequent than Windows of old. 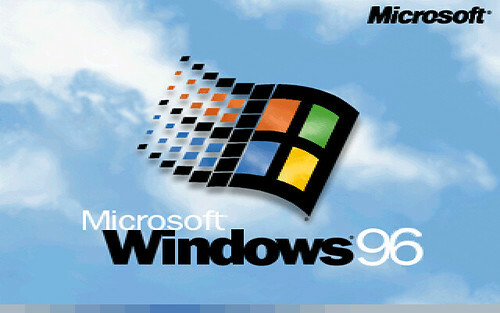 Win96 exists, its a upgrade of 95, but it has newer officially released. I saw an beta somewhere. You must be referring to Windows Nashville but it cannot be counted as Windows96 coz it was not officially released due to premature cancellation. Excuse Me, Is Your Car Halal?